Two Pensacola State College students – Cristino Santiago and Stephanie Bowen – along with Rachelle Burns, director of Student Support Services/Crisis Referral, participated in the Florida Suicide Prevention Coalition’s second Annual “Florida Taking Action for Suicide Prevention” mini-conference held April 4 and 5 in Tallahassee. 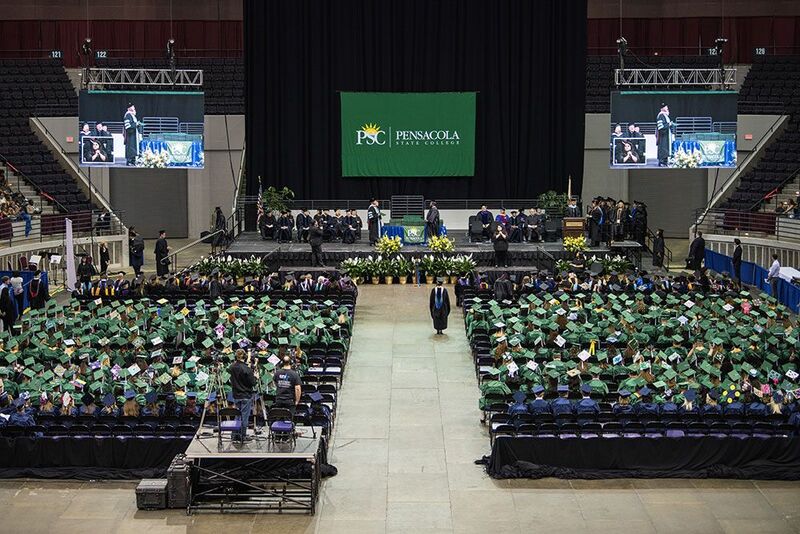 Burns presented on Pensacola State’s suicide prevention efforts, including the Pensacola State CARES project and Active Minds chapter, the student mental health awareness organization. 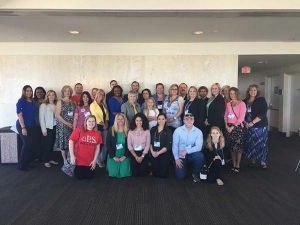 The Pensacola State delegation also attended the Florida Suicide Prevention Coordinating Council’s meeting, as well as “Lighting the Darkness,” a memorial service for those lost to suicide. 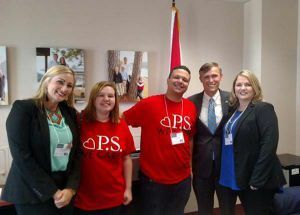 “The apex of the trip was participating in Suicide Prevention Day at the Capitol, where we joined organizations and individuals from around the state, including the local chapter of the American Foundation for Suicide Prevention and visited several of our legislators to highlight and promote suicide prevention efforts in Florida,” Burns said. 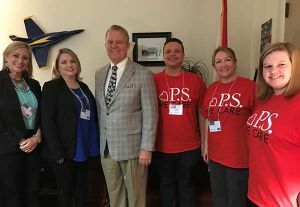 The delegation met with District 1 Sen. Doug Broxson and Jamie Thurman and Dawn Adamek, representatives of the American Foundation for Suicide Prevention Florida Panhandle. The group also met with District 2 Rep. Frank White and took time to snap photos with other mini convention delegates.